Apple has released a report today detailing the economic and fiscal impact of both its current business and new headquarters in Cupertino. The ‘campus 2’, also known as the ‘spaceship’ is set to be complete in 2016. The new HQ features an iconic 4-story 2.8M sq ft. building circular building that can accommodate up to 12,000 employees. Additional facilities planned for the first phase of construction include an auditorium, fitness center, parking structures and R&D facilities. Apple says that it has grown its employee base 18% annually over the past 5 years, and that it’s predicting a 10% growth every year until 2016 (using more conservative numbers), which would bring total employee count to 23,400 in 2016. 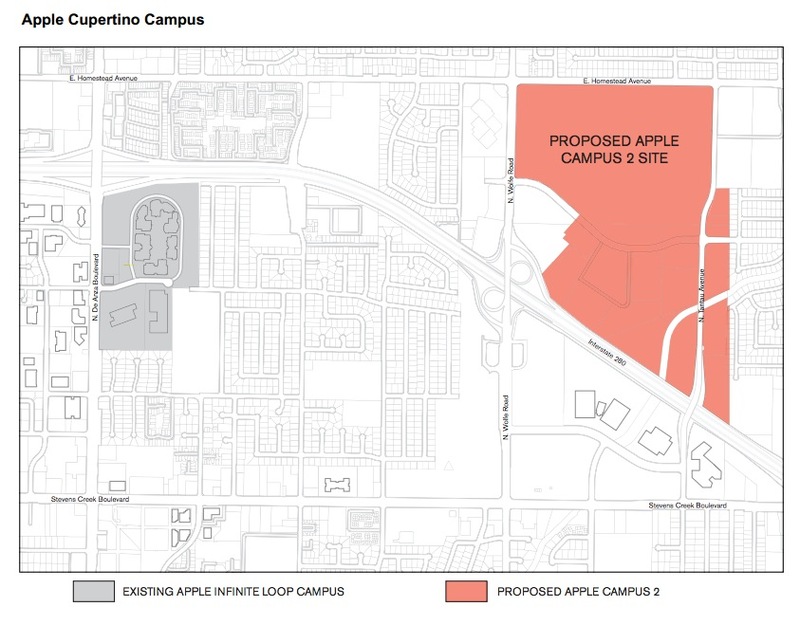 Apple says that its current 16,000 employees make up about 40% of cupertino’s job base. The report also projects Apple’s contributions to taxes in Cupertino and support of local businesses via patronage of employees and more.Apple says it will fund $66M worth of public improvements including roadways, landscape and utility upgrades, $10M worth of bicycle and pedestrian paths, $3.7M worth of park land and $2.5M towards affordable housing. There will be $35M spent annually on alternative transportation expansion as well. Apple announced the new project in 2011, when it was presented to the Cupertino City Council by Steve Jobs. Apple announced delays in the project late last year, pushing the completion date out to 2016. While the approval of the project may seem like a foregone conclusion, the fact is that Cupertino has yet to officially give Apple the go-ahead. So this document should be treated very much as a pitch to the city featuring fiscal and infrastructural benefits.